Popchips are not only super delicious, but they are also a healthy alternative to eating chips. 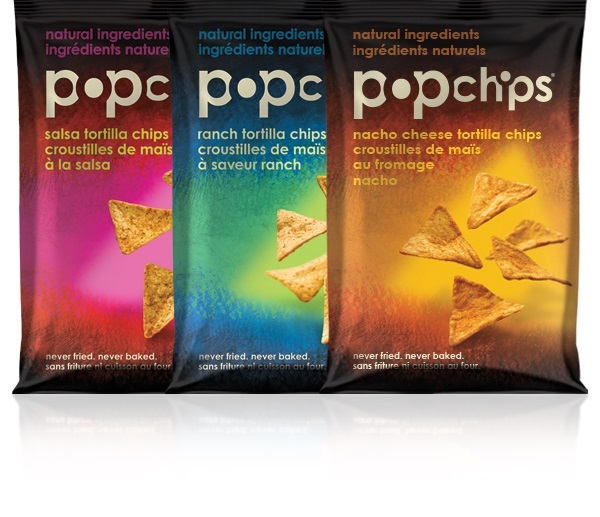 I've reviewed and talked about Popchips a couple of times before on the blog and today I want to share with you that Popchips has just released their Tortilla Popchips in Canada! I'm very thrilled about these. I love tortilla chips and love that Popchips are bringing us folks here in Canada more healthier alternative options then regular chips. These tortilla chips come in three different flavours; nacho cheese, ranch and salsa. They sound amazing! Along with the announcement of these new tortilla popchips, I want to share with you some tips from the lovely celebrity trainer, Jillian Michaels. 1) Keep a stash of healthy snacks near your desk so that you can reach them when you aren’t able to leave the office. popchips, almonds, cottage cheese, hummus and carrot sticks, celery sticks, organic string cheese, organic greek yogurt, apples, and bananas. 2) When you feel yourself getting tired during the day, drink a glass of water. Often, when you are dehydrated you feel yourself getting tired and reach for that cup of coffee, which only dehydrates the body more. 3) Go for an afternoon walk to refocus and get your brain ready for the remainder of the day. Often just a 15 min walk around the block can leave you feeling more energized. For more info on these new tortilla popchips feel free to check them out online and also be sure to pop back by in a couple weeks for our review on them!